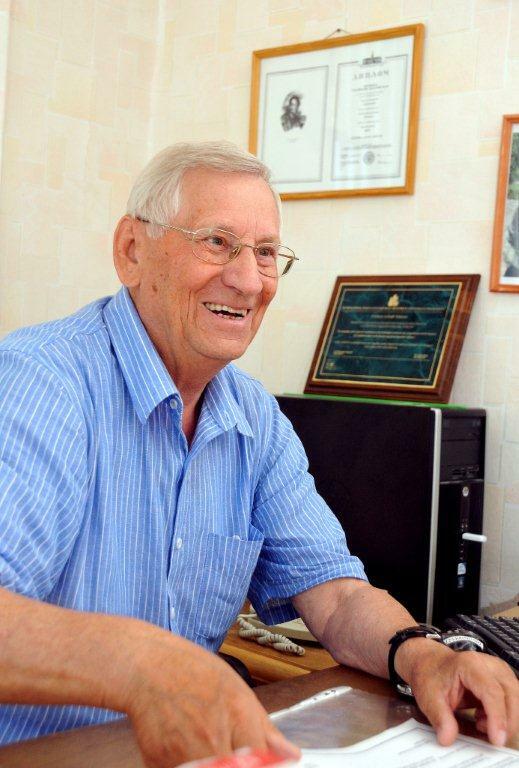 On behalf of the Exhibition Company "Mir-Expo" and International exhibition "Heat Treatment" we congratulate the outstanding scientist and specialist in the field of heat treatment and materials science Arkady Tikhonov on the 80th anniversary! Dear Mr. Tikhonov we wish you good health, inexhaustible energy, great accomplishments, loyal-minded, successful work and research! The 22nd IFHTSE Congress was held on 20-22 of May and was organized by AIM, the Italian Association for Metallurgy in Venice, Italy, was a great success with almost 260 participants, of which more than two thirds came from abroad. Some 150 papers presented the newest in research, technology and application in Heat Treatment and Surface Engineering. Twenty exhibitors showed product and process innovations in their booths and made valuable customer contacts. 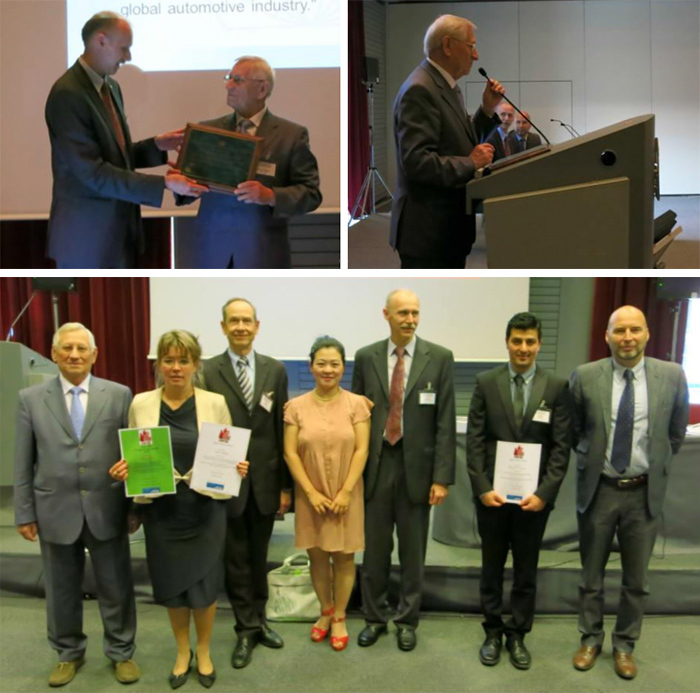 Three new fellows were honored by IFHTSE: Dr. Herwig Altena, Aichelin, Austria Prof. Arkadii Tikhonov, Avtovaz, Russia Robert Wood, former Secretary General of IFHTSE, Great Britain The Tom Bell Young Author Award (TBYAA) for the best paper from an author under 35 years of age was won by Mrs Gundis Grumbt, TU Bergakademie Freiberg, Germany. The three IFHTSE Poster Awards went to Anke Dalke, TU Bergakademie Freiberg, Germany Dennis Formosa, University of Birmingham, Great Britain Mahdi Soltani, Università di Brescia, Italy. The Tom Bell Young Author Award and the IFHTSE Poster Award are sponsored by LINDE AG. Alexey Vladimirovich Dub the director General of TSNIITMASH became a laureate of the State prize of the Russian Federation. Vladimir Putin signed a decree on awarding the State prize of the Russian Federation for outstanding achievements in science and technology, literature and arts and humanitarian activities. Russian Federation state prize in science and technology were awarded to Aleksey Dub, George Karzov and Yaroslav Shtrombakh for creation of new class of radiation-proof materials for reactor pressure vessel and methods of extending the period of their exploitation. On behalf of the organizing Committee of the exhibition «Heat treatment» and Russian society of physical metallurgy and heat treatment, which board member is Alexey Dub, we congratulate him on receiving the state award. ROMiT is a full member of International Federation of Heat Treatment and Surface Engineering (IFHTSE) in a category of «national associations». Chairman: А. Tikhonov – AVTOVAZ, Togliatti. 14. V.Muratov – Samara State Technical University, Samara. 22. S.Tsikh – TsNIITMASH, Moscow. 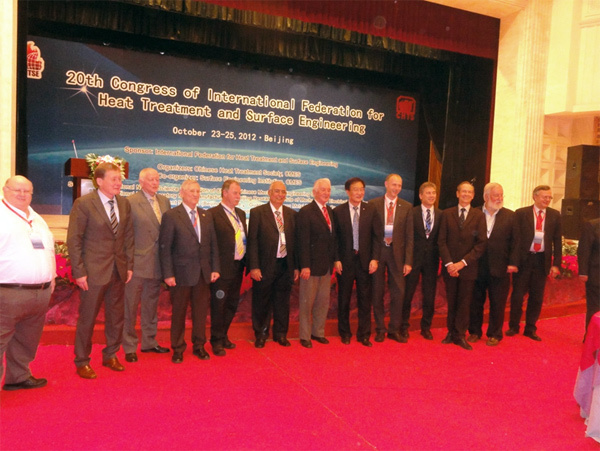 XXth Congress of IFHTSE (International Federation of Heat Treatment and Surface Engineering, with a headquarter in Geneva) took place 22-26 October 2012 in Beijing, People's Republic of China, in a complex of University of Mining and Technology. IFHTSE comprises 40 developed countries of Europe, America, Asia and Australia. Russian official delegation participated in the Congress. For plenary session which was held on 23rd October the steering committee has chosen 9 articles (40 minutes each) presented by representatives from China, England, USA, Romania, Germany, Austria, Japan. The fifth speaker of the plenary session was the head of Russian delegation Professor A.Tikhonov with an article “Heat treatment in Russia. Main directions”. During two sections Professor O.Chudina and Professor V.Skorobogatykh presented 10-minuts speeches, poster presentations were shown by Professor L.Petrova, Professor O.Eparkhin, Candidate of Technical Science S.Tsikh. This was the first official delegation from Russia for the last 25 years. In Soviet times we were members of the Society. In 1985-96 the president of the Society, elected from the country for one year, was academician O.Bannykh. During last decades Russia was excluded from this Society though several specialists participated in International Conferences which were held by the Federation in different countries in 1993, 1994, 1998, 2004, 2005 and in 2011in England. In 2011 at All-Russian Conference on heat treatment in Togliatti the decision was taken to restore the Society. It was named «Russian Society of Metal Science and Heat Treatment (ROMiT). Professor A.Tikhonov – Togliatti University, Science Advisor at JSC «AVTOVAZ» was elected a chairman. At International Congress in Glasgow held within the frame of IFHTSE in 2011 the delegation was headed by Professor L.Petrova, Head of «Metal Science and Heat Treatment» MADI. There was announced a message from ROMiT Chairman on restoring of this Society in Russia. During 2012 all the documents regarding IFHTSE membership were executed. Official recognition of «Russian Society of Metal Science and Heat Treatment» (ROMiT) as IFHTSE member was performed at 41st Assembly of IFHTSE Steering Committee, which took place in Beijing on 22nd October 2012. (before ХХth congress), where Russia was represented by Professor A.Tikhonov, Chairman of ROMiT, Professors L.Petrova and O.Eparkhin, Deputies of Chairman. After official voting and recognition as IFHTSE member A.Tikhonov made a grateful speech and presented from Russian delegation to IFHTSE President XU Kevei a brochure «How memorial on D.K.Chernov’s grave was built» (D.K.Chernov – founder of Heat Treatment Theory) and «Atlas of microstructures of steels used in automotive industry». Actually Russia participated in ХХth anniversary congress as an official member of IFHTSE. Russian delegation was the second largest (the first was from People's Republic of China as a host country). Opening ceremony of ХХth Congress took place 23rd October at a plenary session. Robert wood, Secretary General of IFHTSE, and XU Kevei, President of IFHTSE, made a short speech. The first speech was made by Prof. Zhao Zhenye, academician of China Engineering Academy, President of CHTS (China Heat Treatment Society). The second speaker was Prof. ALLan Matthews, England. The third – Prof. R.D. Sisson, USA. The forth speech was presented by Prof. Xu Bin-shi, academician of China Engineering Academy and Military Force Academy. The fifth speech «Heat Treatment in Russia, main directions» was made by Prof. Аrkadiy K. Tikhonov, academician of Russian and International Engineering Academies, Chairman of ROMiT. Next speech was made by Prof. Kolozsvary Zoltan, vice-president of IFHTSE, Romania. Next speech was made by Prof. Klaus Loeser, Germany. Eighth speech was made by Prof. Herwig Altena, Austria. Final speech was made by Prof. Youichi Watanabe, Japan. The duration of each speech at a plenary session was 40 minutes. Taking into account that each article was preselected by IFHTSE Commission, the speeches considered principal issues and caused great interest of the audience supported by its questions. Each speaker was given a certificate on plenary speech at ХХth Congress. This was the first time when Russian speaker received such Certificate. IFHTSE vice-president Mr.Kolozsvary asked the speaker to publish the article in the official technical magazines of the Federation. Russian Professors O.Chudina and V.Skorobogatykh received minor certificates of International Federation for reports at sections. The hall where the plenary sessions took place held more than 400 people and it was totally occupied, it was equipped with facilities for synchronous interpretation to Chinese and English languages. In plenary speeches of Chinese speakers it was noted that a 20-year programme on heat treatment development is introduced in China and headed by Engineering Academy. Engineering Academy of People’s Republic of China acts as a basis of advanced scientific and technical development and its realization. All speeches made at plenary session and during 5 Sections as well as poster presentations – were published in a collected brochure in the English language (nearly 1000 pages). Thus Russia became a full-member of the International Federation again, it took place in the year when Russia entered WTO. Actually all IFHTSE members are WTO members. The International Federation has already made official proposals on a range of topics for collaboration, including heat treatment of tool steels for stamping and tools made of this steel in a wide range. Standardization of heat treatment in International Law.